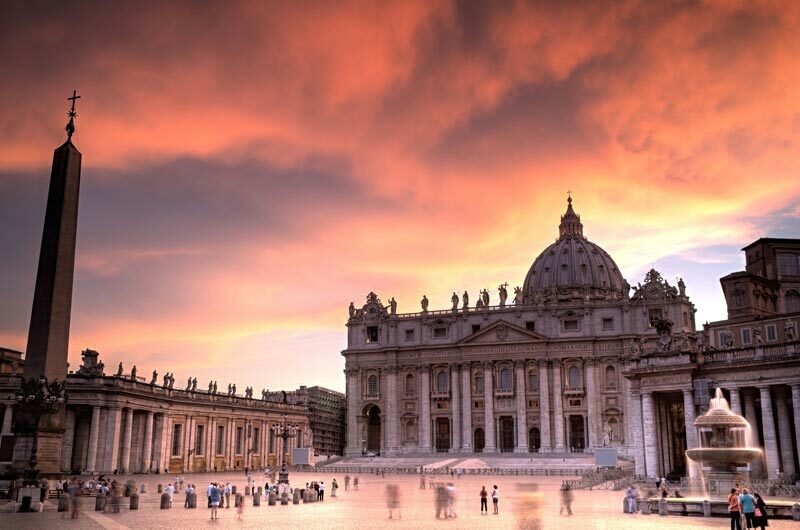 Italy & Sicily | Italy Vacation Package | Italy Escorted Tour | Rome Travel Packages | Rome Escorted Tour | Gate 1 Travel - More of the World For Less! Watch Our New Classic Sicily Video! 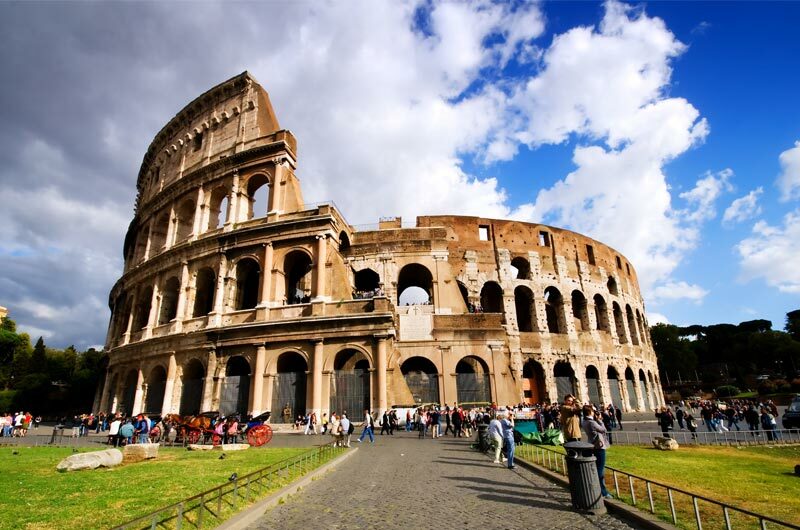 8 Day Affordable Italy Book By Jun 13, 2019 & Save! 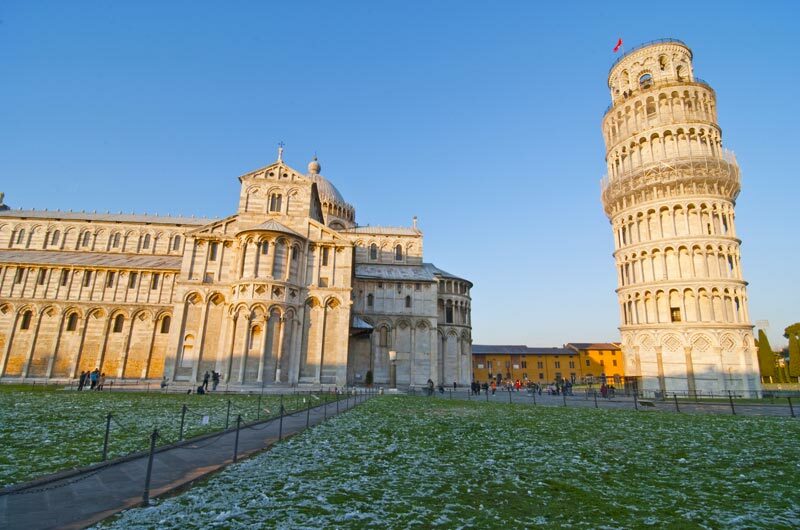 9 Day Affordable Italy Book By Jun 13, 2019 & Save! 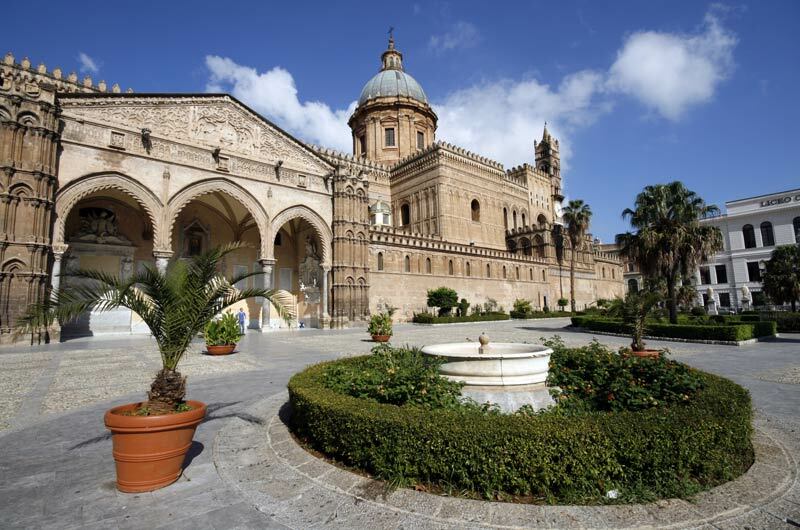 9 Day Affordable Sicily Book By Jun 13, 2019 & Save! 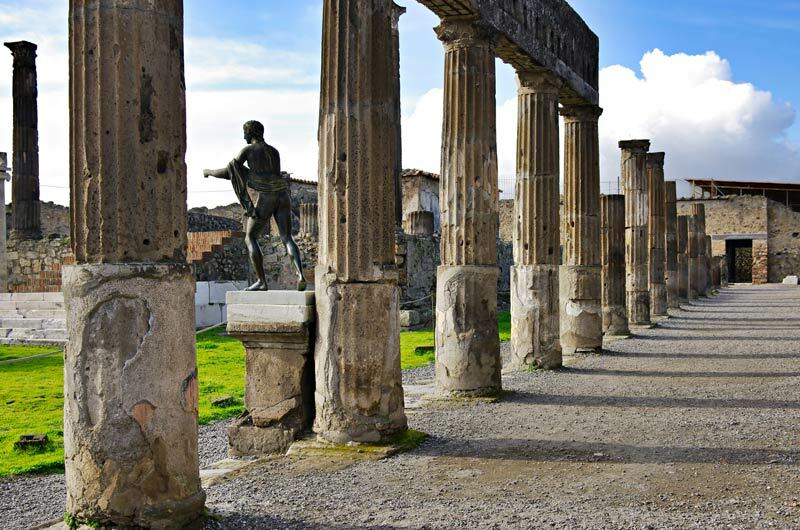 10 Day Affordable Italy with Pompeii Book By Jun 13, 2019 & Save! 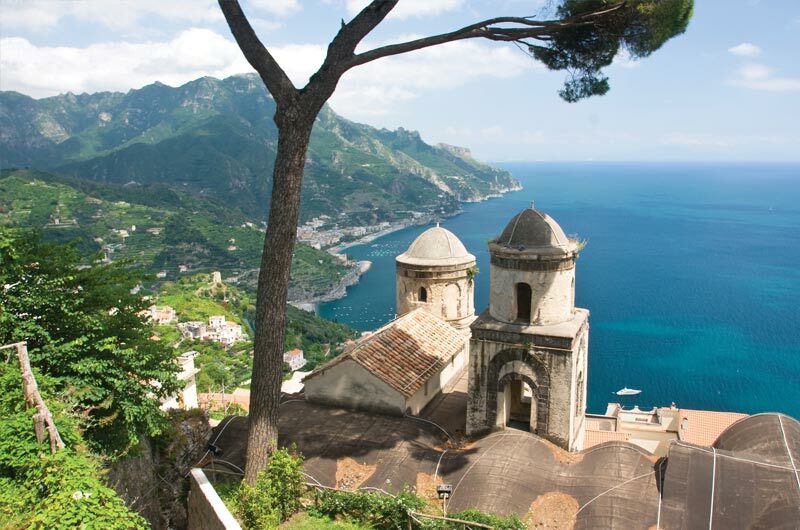 10 Day Affordable Southern Italy, Puglia & Campania Book By Jun 13, 2019 & Save! 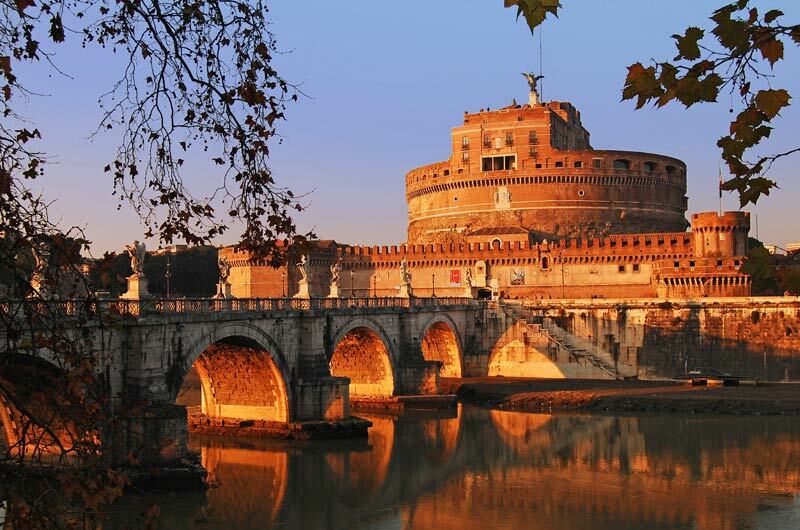 11 Day Affordable Italy with Naples Book By Jun 13, 2019 & Save! 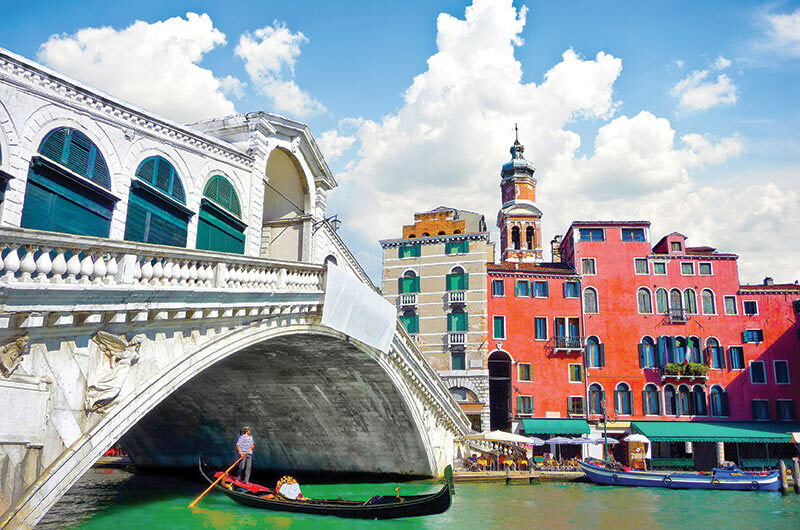 11 Day Affordable Italy with Sorrento Book By Jun 13, 2019 & Save! We had a fabulous time. It was the most organized trip we have taken. Everything was on time and ran smoothly. Reno was so professional, knowledgeable and went far beyond to make sure everything went smoothly and that we were having the best experience we could have. The accommodations were good, the food was great. The planning of the itinerary was great. We had time to experience all the sites but were also given enough time in the schedules to eat, shop and experience the the culture of each city. It was fantastic and a trip of a lifetime. Our guide, Vi, was the best. She was outgoing, knowledgeable and watched over the group like a mother hen. The local guides were great too. This was my first trip to Europe and with Gate 1, and will use only you in the future. Many thanks to Gate 1 Travel for a fabulous trip to Northern Italy. Our tour guide Daniella was wonderful- she was energetic, fun, and filled with lots of interesting facts about the different regions' history and culture. 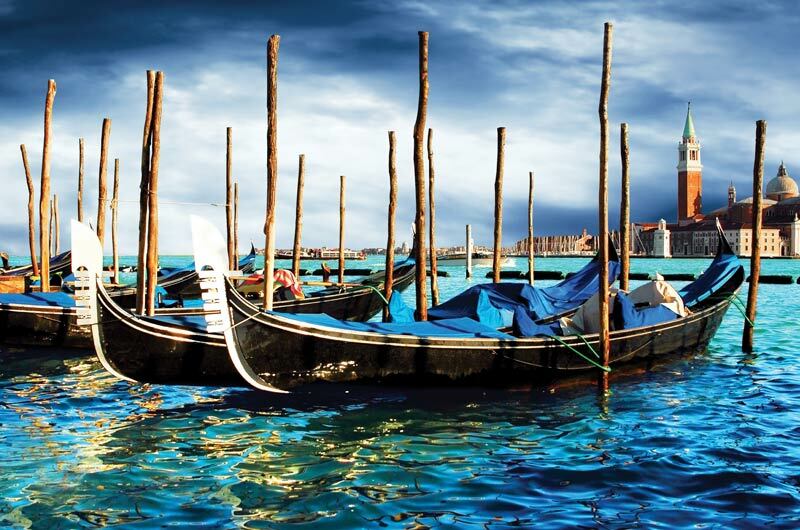 The tour was just the right mix of organized excursions and free time to wander and immerse yourself in the area. From the moment we got off the plane, there was no stress about making arrangements or figuring out how to get from point A to point B. I'm already looking forward to returning for a trip to Southern Italy. Our trip with Gate 1 was fabulous. We thoroughly enjoyed it. Our guide Nicoletta was fantastic. Very knowledgeable and nothing was a problem for her. She worked so hard to make sure our every need and desire was met. We really enjoyed every day. Was a great mix of activities, options available and free time . We would definitely consider using Gate 1 again. Our trip was fabulous! We saw so much and the tour director, Christopher, was great about getting us where we needed to be, making sure we knew the schedule, and seeing to our needs. His humor was delightful. All of the guides were fantastic, knowledgeable and enthusiastic. This is why I keep coming back to Gate 1 when I want to tour somewhere. It was great! We had a lovely time. I really enjoyed the kind-hearted people, rich history, scenic landscape and delicious food and wine! And thanks to Gate 1 Travel for a marvelous trip! Fantastic! ... Everything ran like clockwork and hassle free. I definitely would recommend Gate 1 and I will definitely travel with Gate 1 in the future. Our trip was fantastic! We highly recommend Gate 1! Our family of seven enjoyed every moment of our Christmas stay in Italy. Our guide, Nicoletta, was totally the best and took care of our every need. Thanks Gate 1! We hope to do another trip with you soon. As usual I am blown away by Gate 1 Travel, the prices are unbeatable, they give you everything they promise, people are always very friendly from the moment you make the reservation and the people who help you plan the itinerary. The trip to Sicily was fantastic. I would recommend Gate 1's Sicily Trip to anyone. I can't tell you how much we enjoyed our tour guide Flavia. She was kind, helpful, articulate, knowledgeable, organized, ... and above all a great tour guide. I highly recommend her! The bus was clean and luxurious and the driver was skilled and accomplished ... I highly recommend Gate 1's Sicily Tour and especially our tour guide Flavia. The trip to Italy leaves me with awesome memories. Mercedes, our tour guide is an amazing and caring person with great knowledge. Having a tour guide that lived in the individual city gave me the knowledge that was impeccable ... Everyone was kind, respectful, and grateful ... Gate 1 Travel will always be the way to go. It was wonderful! It was so intense that we still haven’t processed it all, but it has had a tremendous impact on us. You guys had it all figured out and are obviously on top of it all. Our guide Maurizio was absolutely fantastic. We all loved him. We will definitely travel with Gate 1 again and we hope we can book Maurizio, too! It was wonderful from start to finish. We experienced no problems and our tour guides were the best. Fabio in Italy and Fabiola in Sicily. You have a first grade product at good prices. This was our 4th trip with Gate 1 and hopefully not our last. Our trip was great. It was just as described in the online information. The hotel and the daily trips were wonderful. Our tour leader Lynn did a fantastic job .... She was dedicated to making sure that everything went as planned .... Our driver Victor did a magnificent job of maneuvering the bus through the narrow streets ..... The hotel staff was very friendly and helpful. My wife and I thoroughly enjoyed this trip. Thanks to Gate 1 Travel. 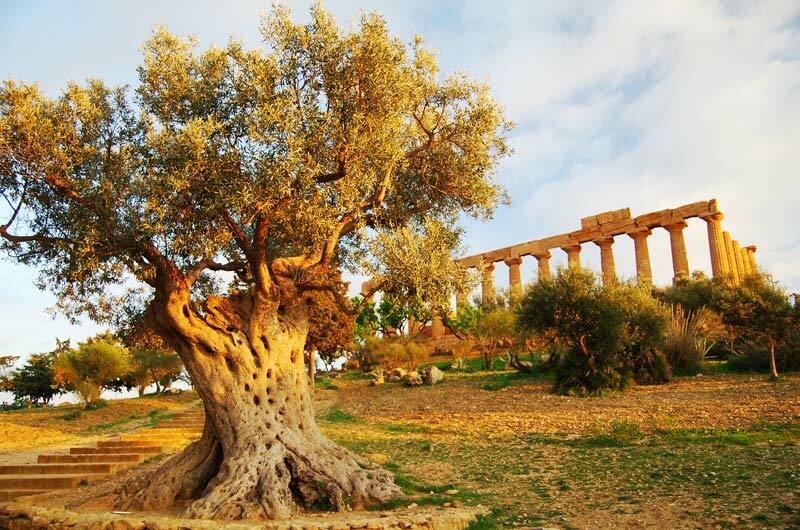 Our trip to Sicily was excellent; tour manager, driver, local guides, lodging, special group dinners and optional tours included ... We look forward to a future Gate 1 tour. Our trip was amazing. My friend has traveled with Gate 1 several times and recommended highly and I will do as well. Our tour guide Francesca Bensi was outstanding. Everything was perfect.... the hotels, guided tours, restaurants, transportation. I will definitely use Gate 1 for my next adventure. Thank you! This trip was a dream come true. It was more than perfect. I loved Italy, our tour director Carmine was the best tour director we could ask for. He went above and beyond to make us feel safe (dealing with food allergies) at every stop... This trip exceeded our expectations. The hotels were great, the food, the places... there are no words to describe our experience. To top it all up, our group of people was excellent! My trip was wonderful! It was so well done! Every detail was taken care of beautifully. The hotels were splendid, very well located and in wonderful condition and very clean. The tours were well planned and went off flawlessly. Michela was excellent! She went above and beyond every step of the way. When I was investigating travel companies I never heard a bad thing about Gate 1 Travel. I can honestly say everyone was right! Our trip was fantastic. We are so happy with the Gate 1 tour and tour guide. It was all wonderful. Better than we could have imagined. No complaints. Very impressed with the hotels, the meals, the itinerary, the local guides and all the hard work our Gate 1 tour guide put in. His name was Simone'. He arranged so many nice little surprises for us that were above and beyond what was expected. He was a jewel and everyone loved him. The tour eliminated so many hassles for us. We didn't have to wait in lines. All the transportation and tours were on time and we were never left feeling neglected. We can't wait to go on another tour with Gate 1. 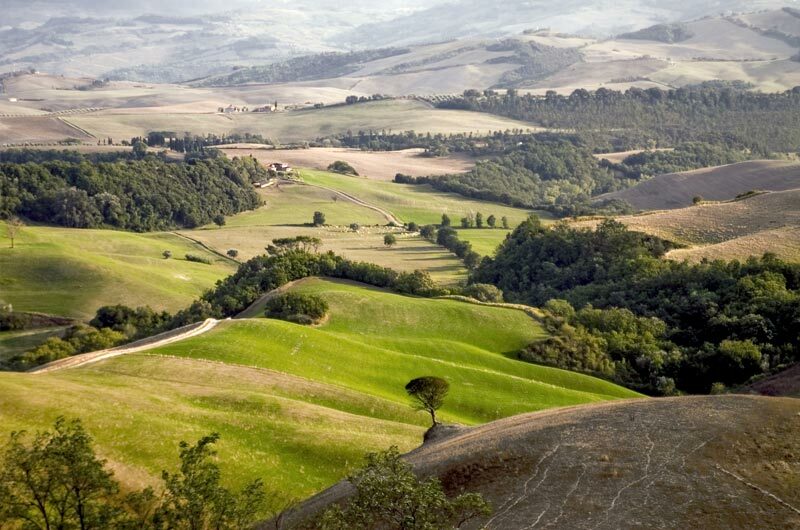 Our trip to Montecatini was exceptional much due to our wonderful guide Carolyn and the spectacular Tuscany area. Carolyn was energetic, charming, knowledgeable and you could tell she loved giving the tour every single day. She always had some little extra information which personalized the tour for all. It was also a great group, many repeat Gate1 travelers and some first timers. Excellent! It was so nice to have everything taken care of for us. Transitions from airport to hotel and back again were smooth as silk! I want to make a special mention of our tour guide for the week, Luca since he made this trip! Organized, but flexible; fun yet responsible… He was amazing! Our trip was awesome. Our first experience with Gate 1 was such a wonderful one that we’re looking into another trip next year. Fabio did a great job. All the guides were very knowledgeable and very attentive. Loved all the hotels and the food. Nothing negative about the entire trip. We had a wonderful trip. I would like to compliment our guide... She also bought “treats” for us at several locations, ending with a notepad from Florence. She made the trip special. We have been on several tours with other companies, and Gate1 certainly met our expectations. The included dinner at the vineyard was beyond what any other company included in the package. Our trip was amazing. The itinerary was perfect and our tour director was wonderful. Martin is very knowledgeable, engaging, personable and so very organized. The accommodations were comfortable and ideally located to maximize our ability to explore independently. The local guides were also knowledgeable and passionate about their respective cities. It was an excellent experience. We’re looking forward to our next trip with Gate 1. Dorsey, The trip was as fabulous or maybe even MORE fabulous than the first trip to Italy that I took with Gate1 in 2014, if that’s even possible. Vanni was an outstanding guide. One of the highlights of the trip was running into my former tour guide, Mercedes, in St. Mark’s Square in Venice. I traveled alone knowing that I’d be in good hands with Gate1. You certainly went above and beyond to see to my comfort when sending a driver to and from my entry and exit airports, and the group of people I traveled with were hilariously fun! I will definitely choose Gate 1 for all my travel adventures. The trip was wonderful! Everything went according to plan without hitch. Loved our tour guide, Carolyn. Would definitely recommend this trip to others. I just can't say enough about the great time Gate 1 provided on my trip! The flight,hotels,food,and touring was 1st class. Our tour guide Gabriella took care of my every need. Thank you for such a beautiful vacation! The trip was amazing. It was the perfect vacation. All the stars aligned to provide the perfect weather, extremely knowledgeable guides, delicious food, fun and educational optional tours and a great cast of traveling companions within our travel group. Trip of a lifetime. Highly recommend this trip as a great overview of the country Italy...I will definitely use Gate1 for further travels. Margaret and I had a truly wonderful time. Totally satisfied. Made new friends and enjoyed our trip very much, an experience of a lifetime. Myranne, our main guide, was fabulous and the tour guides at each site were very well informed and made the trip worth while. Hotels, locations and food were great. We were lucky to have perfect weather, late April seemed to be a great time to go. Have told others to use Gate 1. The trip was wonderful. Full of good experiences and so many things to see. Our guide was terrific and his concern for our well being and satisfaction was very comforting! I would strongly encourage all my friends to consider this trip in the future. It was a fantastic trip. We enjoyed the Sicily visit very much. Trip was made special with our tour guide Flavia Condorelli. She made sure we were out on time to allow our bus to be the first tour at all the sites, very knowledgeable on the history of Sicily. Also need to add that the accommodations and lunches/dinners provided were outstanding. The Sicilian food was one of my highlights of the trip. My wife and I can not think of one thing Gate 1 could have done better . We never expected to see so much. Our days were just filled with new wonderful sights. Our tour guide Myrian was the best. She was so organized ,funny and knowledgeable I can't say enough about her so thank you Gate 1 for a trip we will never forget. Our trip was very enjoyable. We had a wonderful tour manager: Francesca Mafolina. She's very caring, loving, funny and helpful. She made our trip so easy, comfortable and stress-free. We will definitely tour with Gate 1 again. We had a WONDERFUL trip...We were very pleased with the chance to sample local cuisine and wine. We enjoyed the smaller villages and feeling more immersed in the Italian culture. The weather was perfect, seeing the Alps every day was a real treat. Riccardo's choices of where to eat, to sample wines of the region, or try a local food specialty, was very much appreciated. We will continue to explore Gate 1 small group experiences if it continues to follow this model. 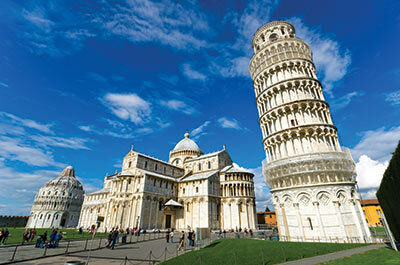 We had a great trip & a fabulous time on our 16-day tour of Italy with Gate 1 Travel. It exceeded our expectations! Our tour manager, Fabio Rapisardi, was professional, friendly, caring & concerned that everyone was pleased & enjoying their experience. He was the straw that stirred the drink on this tour and has set a high bar for the tour managers on future trips we will be taking with Gate 1 Travel. We thought we got a very good value for what we paid but Fabio with his personal touch, management skills, recommendations for our free time and again his care & concern that everyone was pleased & enjoying the trip made it, by far, the best group tour vacation we ever experienced! Based on the quality of the airline, hotels, meals, local tours, bus transport, transfers, plus other services provided & of course Fabio's management of the trip/tour we feel we can recommend Gate 1 Travel to our family and friends without any reservations. Thank you for a wonderful trip & great memories! Absolutely wonderful. Ana was great as a tour manager and the guides obviously knew about their cities. Great group to travel with, all on time and friendly. Looking forward to another trip, already booked to Spain in the fall. It was a fantastic experience! I would recommend Gate 1 to anyone. Our guide, Francesco was knowledgeable, organized and very helpful. I would not hesitate to use Gate 1 again. We had a wonderful time, so informative, great tour guide Francesco, so much beauty to behold, from the water taxi to the hotel, the gondola, the tiramisu, the lasagna, the winery tour, shopping in Florence, the architecture,Vatican Museum, the Sistine Chapel and the wonderful works of Michelangelo! Well organized, and we had a great fun loving time with our fellow Gate 1 travelers. Thank you for a great experience and fond memories! Good trip. Flavia was great. All the hotels but one (seaside resort) were located in areas where there was easy walking to other restaurants, shops, etc. Accommodations were all reasonable. Local guides were good. GREAT TRIP!! Wonderful adventure but a lot of walking. The local tour people were very knowledgeable and interested in the group learning about Italy’s treasures. The local director in Rome, Marissa, was especially attentive and related so many interesting tidbits and anecdotes. The Gate1 people were also great and caring – especially Heidi - who phoned us two days in advance to warn us of the impending snow in New York (where we were to connect to the Italy flight) in order to re-route us so we could get to Venice on time. Thanks! This was our third Gate1 trip and we have scheduled our fourth for June of this year. Thank you for the email. The trip was outstanding!!! I could not have had asked for a better weather, time, and everything in between. OMG!!!! Trip to Italy was so awesome words cannot describe. Gate 1 delivered everything you said you would. The emails contained all our information from departure to return. 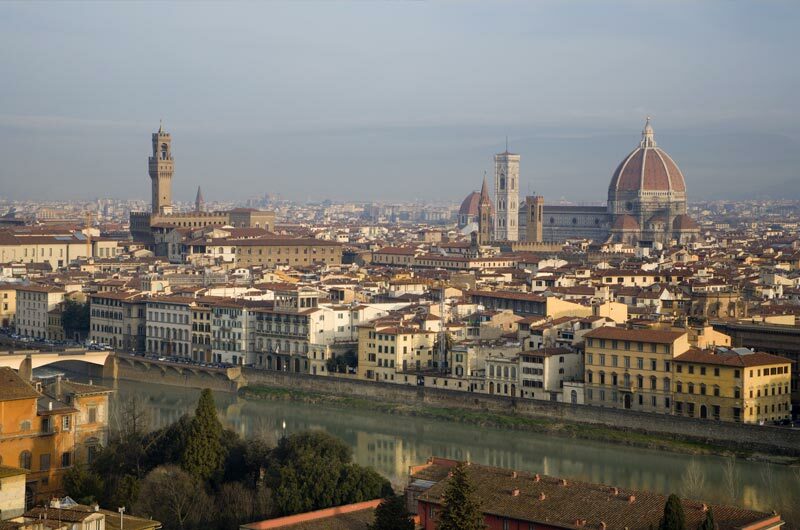 The hotels in Venice, Florence and Rome were outstanding. Now the tour guides... what can I say besides OUTSTANDING!!!! I wish i could have videoed each tour. The information they gave us, was beyond anything you can read in a book. Their home country touches, stories and memories made the whole tour even more special. Our group of nine family members were treated so great.! Our Mom who turned 80 in Dec. was treated as if she was their Mom!! Extra concern for her safety, to making her feel as special as she is, too finding elevators where they could!! Our family will use Gate1 again, hopefully soon!!!! Our trip was great! Two thumbs up for our tour guide, Flavia, and our driver Raymundo. It was just the right mix of time on our own and group activities. I was somewhat apprehensive about taking a coach tour... The "comfort" stops along our route were timed just right...We liked that we weren't changing hotels every night...The food was great. And the coffee! And the wine! I just wish I would have picked up a recipe book so that I could try to reproduce some of our favorite dishes back home. We had fun. Weather was rough as we left in the snow storm but Rome was great. Mercedes the tour guide was wonderful and a trooper through the weather. We saw what we came to see and more!!! We hope to book again with you all. The hotel staff was fabulous. Donatello was a good hotel. I enjoyed the trip to Italy in its entirety. Letizia, the tour manager must be commended for her organizational skills and her humanity. Marco, the driver for the group, was a true professional. At each tour stop, there were guides who were truly knowledgeable about each site. I'm already looking at Gate1 for a trip to Spain and Portugal. Our trip was wonderful! Our tour manager, Martin, was the absolute Best! 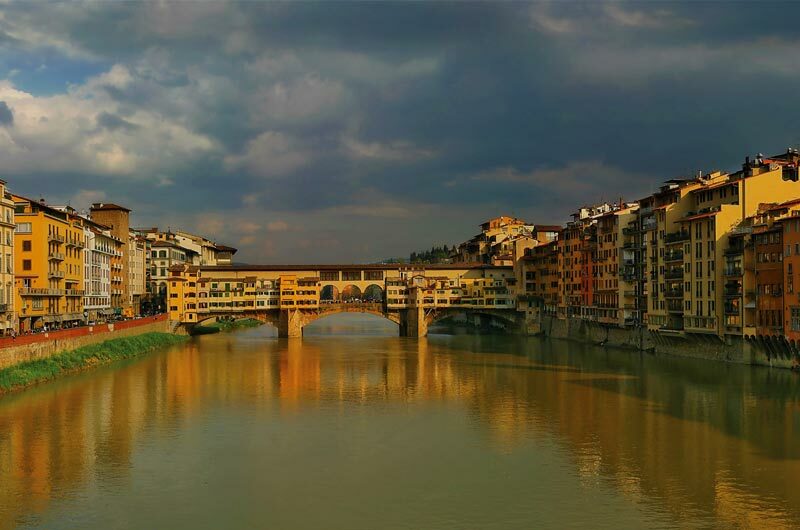 The tours, hotels and all activities exceeded our expectations, not to mention the extraordinary food in Italy, really wonderful. We plan to keep in touch with some of our tour companions, and we plan to travel with Gate 1 again and again. We have favored cruises in the past, but this land tour has converted our thinking. Thanks Gate 1, see you soon! Accomodations in all three cities were very satisfactory. Moreover the tour guides were exceptional, particularly our local guide in Venice. We were happy with the logistics (transportation and proximity of the hotels to the rail stations). We will definitely use Gate 1 again.